In the midst of impending environmental catastrophes, socio-political crises, billions of responsibilities, messed up economies, and a hundred more reasons for us to be more anxious, we have music to save our souls. This was also the case for the characters of Respeto, the new rap film directed by Treb Monteras II showing nationwide in cinemas. The film has bagged a number of Cinemalaya awards and has already swept a fraction of the nation away with its pure artistry and brilliant cinematography. Scenes are given more color through hip-hop beats and poetic Filipino verses that speak out what the characters are truly feeling, as both traditional and modern takes on literature are featured throughout the film. Respeto goes beyond that, though. As we delve further into the plot, conceptualization, and execution of the movie, we are given more reasons to believe that the art is just a tool used for us to see an even bigger picture. 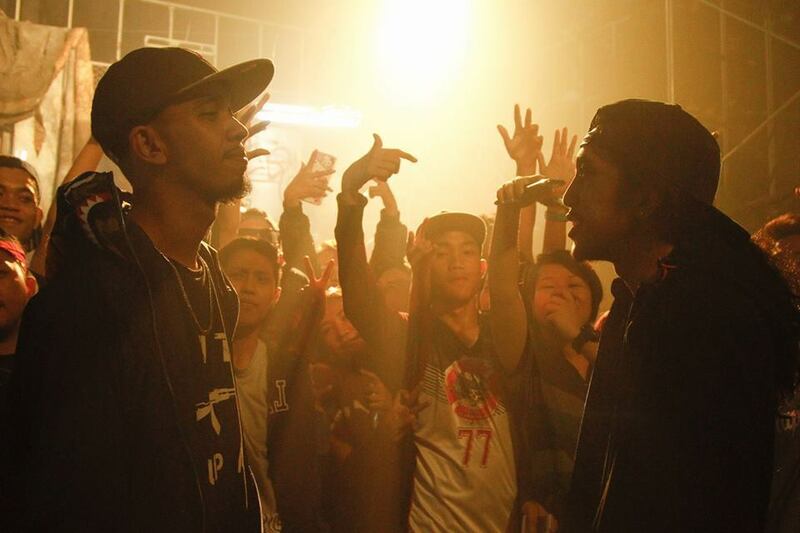 The film focuses on the story of Hendrix (portrayed by rapper-songwriter Abra), an aspiring rapper, his battles both on and off the rap stage in crime-ridden Pandacan, and his relationship with his mentor Doc (Dido de la Paz), an old poet who suffers from his traumatic experiences during the Martial Law. While Hendrix longs for time to fast forward to better days, Doc wishes to go back in time to rewrite the past, all while they try to get out from the evils of fate. This stark contrast in the personalities of the main characters is evident, even in the way the scenes for each were set. Doc has his scenes filmed in a manner where the camera remains still and unmoving as if signifying his longing to stop time. On the other hand, Hendrix’s scenes are shot in a somewhat restless manner, giving more emphasis to his ever boisterous personality and the chaos in his immediate environment. The emphasis on the disparity between the two characters does not end there. Modern and traditional literature are juxtaposed with Hendrix’s and Doc’s rap and poetic styles. Doc sticks to a stylistic form, making sure each word in his piece follows conventions, while Hendrix plays around with the vocabulary he has and anything else that he picks up along the way. It is interesting to know that when taping scenes with the rap bits, Monteras gave the rappers free reign over what they wanted to say and did not create the verses beforehand to avoid the risk of ruining their flow. 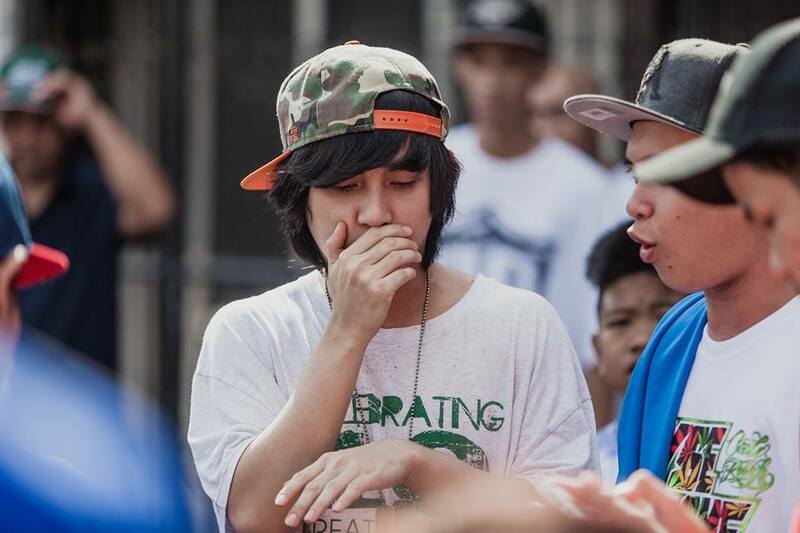 Monteras shared that he would simply tell Abra what he wanted to achieve and some keywords that he should use. Abra would then create rap verses on a whim during takes. Its impact on the film, however, was worth it. Because of this, Hendrix (as well as the other rappers in the film, including Loonie who played the role of local rap star Breezy G) was branded with an authenticity that a script won’t be able to provide. “Kayo na bahalang magpasya kung para nga itong 8 Mile (It’s up to you to decide if it has any resemblance to 8 Mile),” Monteras said during the special screening of Respeto at the UP Film Center last September 19. Contrary to popular online opinion, though, Respeto is not comparable to 8 Mile. It might be a celebration of hip-hop music, just like the Hanson Curtis movie, but that’s really where the similarities end. For one, the elements that make the movie the hit that it is are undeniably truly our own. Through using our language and with the seeping influence of Philippine literature in the film, we as viewers see not only the evolution of Pinoy poetry and rap but also how the old and the new, in this case, result to something quite beautiful. 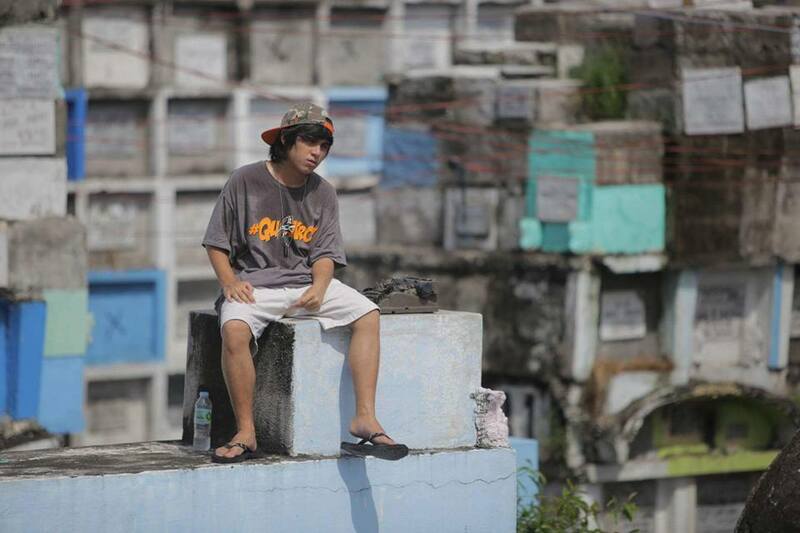 Monteras explained that his major influences for the film include Filipino literary giant Vim Nadera (who made a special appearance in the movie) and National Artist for Literature Bienvinido Lumbera, both staunch supporters of Pinoy hip-hop. Aside from being well-celebrated for their craft, Nadera and Lumbera are known for marrying traditional Filipino literature with pop culture, much like how Doc married Filipino poetry with Hendrix’s fliptop verses. Despite also being a coming-of-age movie, Respeto resonates the plight of the ordinary citizen, especially during these trying times. 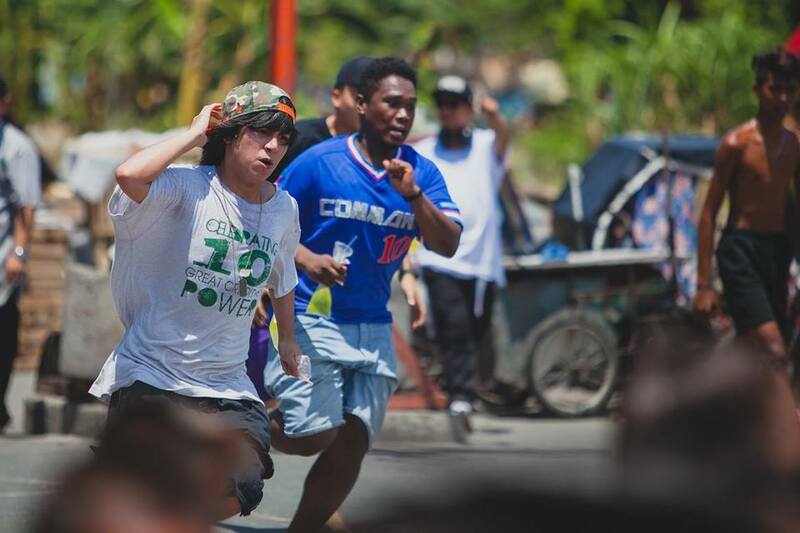 The film’s cast and creators have successfully correlated the evils of martial law with the violence of the Philippines’ present administration. By sticking to the raw and vulgar culture of Pinoy rap, they were able to show their audience that art doesn’t need to be orderly and stylistic; it’s actually quite the opposite. Respeto reinforces the idea that rap, much like any other form of art, is an outlet of an artist’s expression and can be used as a medium of protest. While Doc tries to escape the monsters of his past, men are being slaughtered on the streets in broad daylight as if his previous experiences have come back to haunt him. Meanwhile, as much as he wants to escape the clutches of a new violent administration, Hendrix gets caught up in the middle of it with no way of getting out. And that’s exactly what the makers of the film did by showing us how brutally history is trying to repeat itself. In fact, award-winning producer Monster Jimenez mentioned that they made sure that the film was released for commercial screening just in time to commemorate the 45th anniversary of the declaration of Martial Law in the Philippines. “Huwag nating tularan ang nakaraan (Let us not imitate the past)," Jimenez says, reminding us that the respect we have for ourselves, for others and for life itself is something that we can uphold, no matter the circumstance. Respeto is showing in selected cinemas nationwide. For an updated schedule of screenings, click here.